Inspire students to do their best with motivational charts. 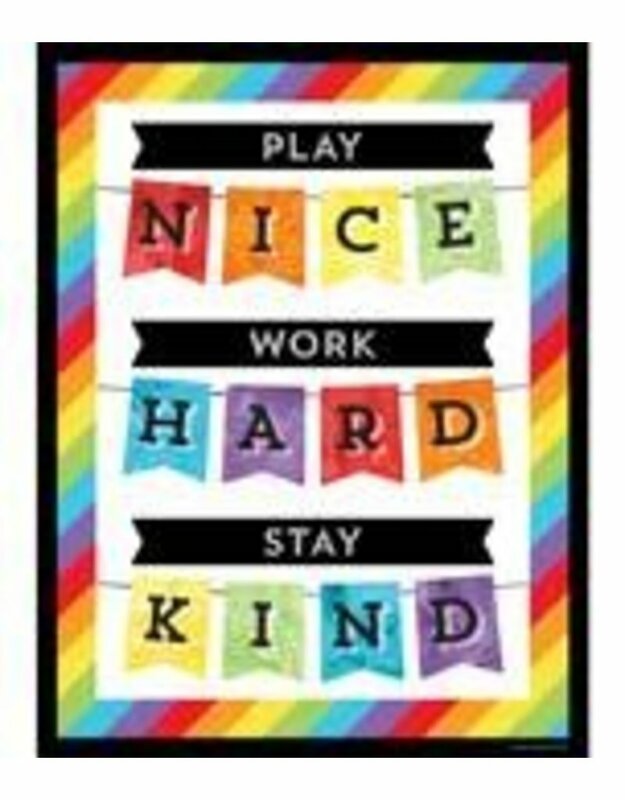 The 17" x 22" Celebrate Learning Play Nice Work Hard Stay Kind chart encourages students to remain focused on their goals and to create positive relationships in the classroom. Carson-Dellosa’s motivational charts promote positive habits, good behavior, and hard work. You can place these charts anywhere in your classroom for year-round inspiration. Check out other Celebrate Learning products to create a contemporary classroom theme.